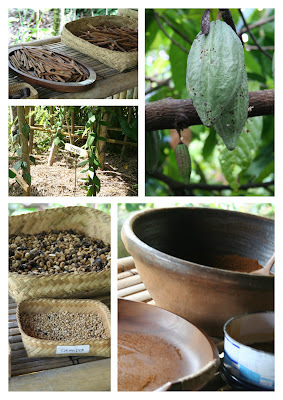 On our way to Ubud, we ask our driver Wayan if he can take us to see some traditional Batik. Batik is a type of fabric that uses a wax resist dyeing technique and forms an important part of Indonesian heritage. 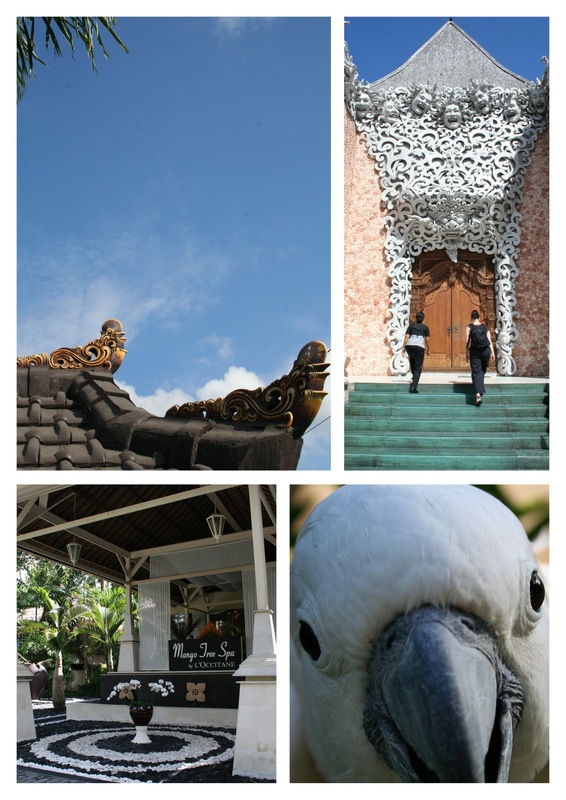 Back on the road, we head to Ubud - a town in central Bali, regarded as the cultural hub of the island. Arts, crafts, spirituality and culture is Ubud. 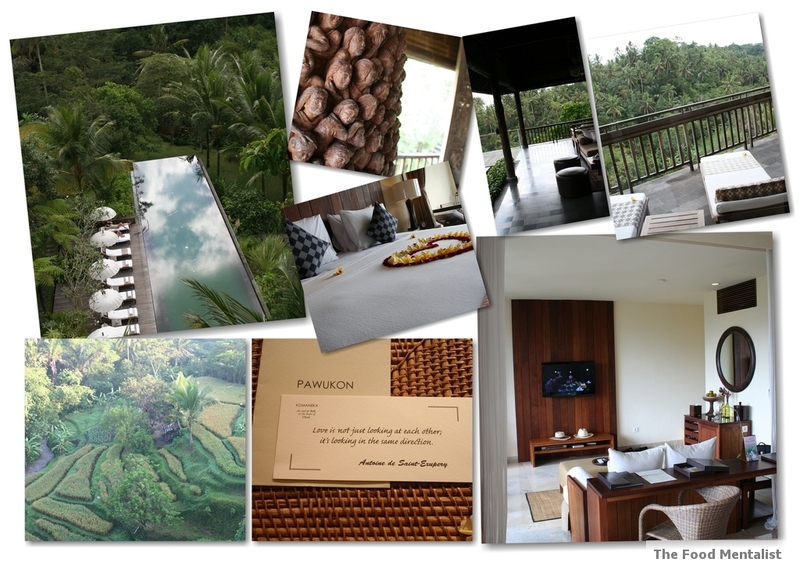 Having lived and spent a lot of time around Byron Bay in Northern NSW, I instantly recognise a similar vibe in Ubud. We stay at the Komaneka Bisma in Ubud. Part of its appeal is that it is locally owned by the Komaneka family. Mr Komaneka is famed for his involvement in the Neka Gallery & Art Museum, responsible for the acquisition & exhibition of some of world's best Indonesian & Balinese art. The accommodation is fantastic and the service impeccable. We stay in the Bisma Suite which has a king size bed, living room, luggage room with in room safe, bathroom with separate bathtub, double vanity washbasin and a large two person shower with rain shower head. I tell Pete that rain head showers should be mandatory and threaten to stay under it for the remainder of the trip. The room also has a writing table, wide screen LCD TV, DVD player and Apple TV. The amenities are impressive with his and hers hats, slippers, and matching pajamas laid out each evening. A little quote of the day and story are also presented next to our pajamas each evening. The one above reads " Love is not just looking at each other, it's looking in the same direction". Sweet. Breakfast and afternoon tea is also provided each day and can be enjoyed in the restaurant, the pool area or in the privacy of our room. The quality of the food is fantastic, authentic and fresh. I fall in love with a dish called 'Pisang Rai' which are boiled banana dumplings drizzled with palm sugar syrup and coconut. Once I discover these little delights I just have to have them for breakfast each morning. They are amazing! 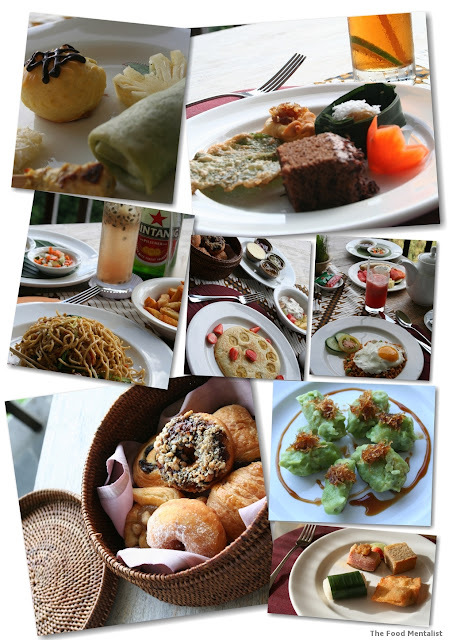 The food around Ubud is also very impressive. We try the famous suckling pig at Ibu Oka. I am dubious at first, with every accepted food hygiene practice ignored, this place does a roaring trade. Whilst it is delicious - succulent pork meat served with rice, glass crackling and a slice of boiled choko, I can't help but sneak little pieces of the pork and rice to the dogs that are hanging around. They look so hungry and I feel so sorry for them. Pete tries to get me to stop but I figure they need the nourishment more than I do. That said I still manage to sample enough of the dish to be suitably impressed. 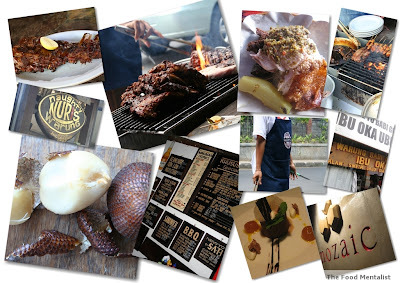 Just up hill Jalan Raya Sanggingan (Road) directly across from the Neka Gallery and Museum is Naughty Nuris. Famous for their marinated pork ribs and martinis, this place is packed. On our first visit we share a table with two American men who I start chatting to. I ask for their opinion regarding the ribs and whether they compare to the best on offer in the States. One of them tells me he is from the South East of America where they are famed for their ribs and that Naughty's are just as good! Happy with this news I tuck into my rack of ribs, which I finish in no time. Pete is equally impressed and we glance at each other with a look of acknowledgement that signals we will be back. Sure enough, we visit again two days later. 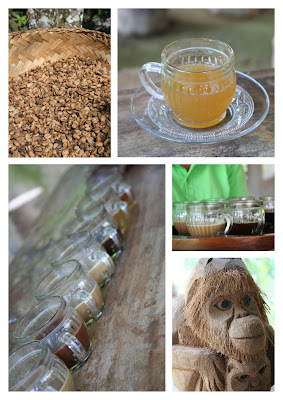 Heading out we venture to the edge of Monkey Forest and witness the whimiscal behaviour of the Monkey's of Ubud. 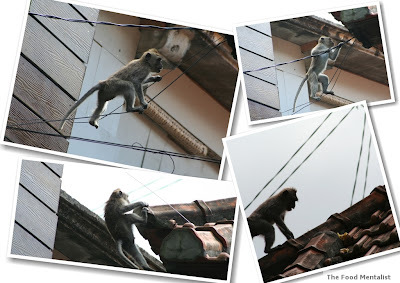 This guy comes down from a tree runs across the road, up a pole, precariously balances along several electrical wires and hops onto a shop roof. It is funny to watch and he is a real character. I book us into the Tuesday class at Casa Luna Cooking School just up the road from Komaneka Bisma. 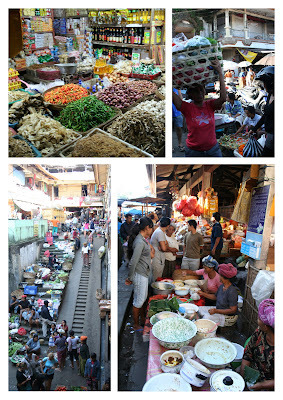 We walk down to the markets and are given a fantastic tour of the early morning food markets before we are given a chance to purchase spices and any other foods we may wish to buy. I buy several packets of vanilla bean pods and we watch many of the stall holders serving the local crowds that have begun to gather. 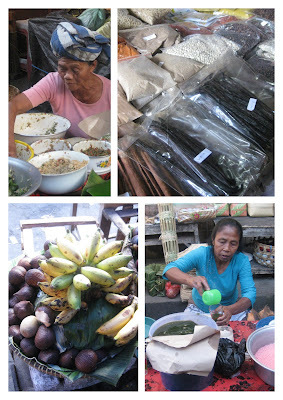 The lady pictured bottom right ( above) serves glasses and take away plastic bags filled with a popular sweet drink - filled with grass jelly, coconut milk and another pink noodle like jelly, we are told it is very popular with the local children and sells out quickly. Next, we head back to the home of Casa Luna Cooking School where we are greeted with delicious iced red hibiscus tea which is made using the red hibiscus petals, hot water and a little sugar. It is so refreshing and we are told it is full of vitamins and minerals from the hibiscus flower. 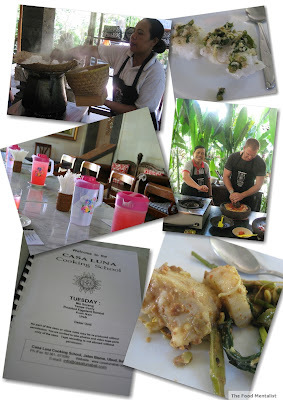 In this class we learn to make Mie Goreng, roasted white eggplant, tempe curry, fern salad and green coconut pancakes. We start by being introduced to all the ingredients and learning how to make sambal which forms the basis for many of the dishes we will be cooking. We all take turns at grinding the paste using a traditional volcanic stone. 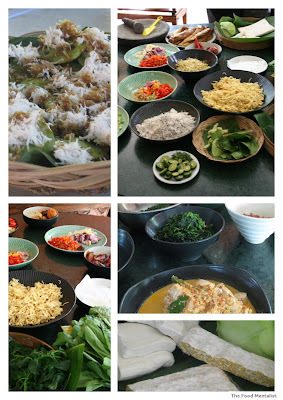 Everything we try tastes fantastic and fresh and I vow to buy a Balinese cookbook before the end of our trip. 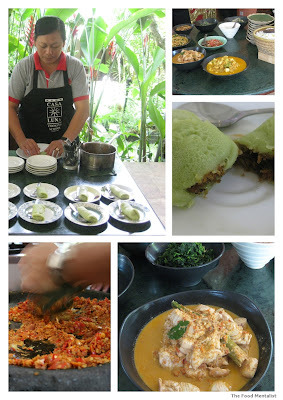 The green coconut pancakes were also the perfect way to finish of the meal. So delicious! 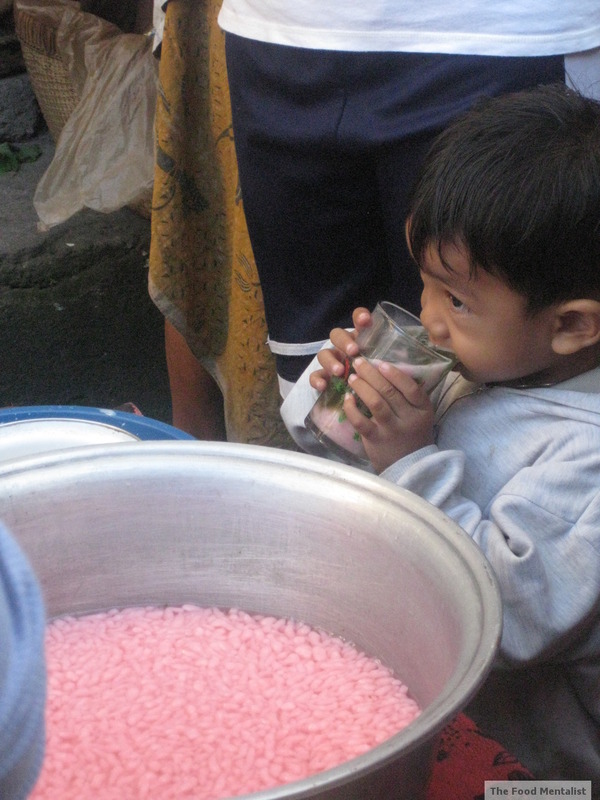 The next day, we meet up with our driver Wayan who has offered to take us into the hills to see the rice terraces. After talking about Kopi Luwak coffee, he also offers to take us to a local producer where we sample some of the famed coffee and discover how it is still made using traditional methods. I also try some sweet spiced ginger tea and it's SO good! 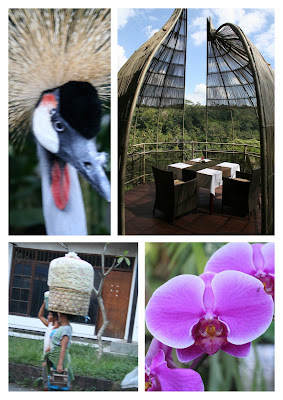 We also visit several day spas, silver merchants, and a local bird and wildlife park during the rest of our stay. Have you ever visited Bali? do you plan to? 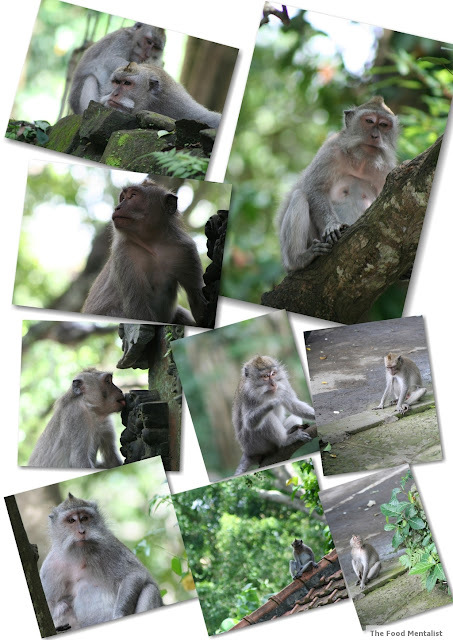 Ooo, the monkies in Bali freak me out! I'm always worried they are going to jump on me and start pulling my hair! 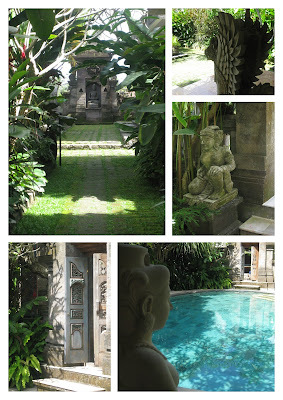 We're off to Bali in August - staying in Seminyak, but a day trip to Ubud is in order I think. 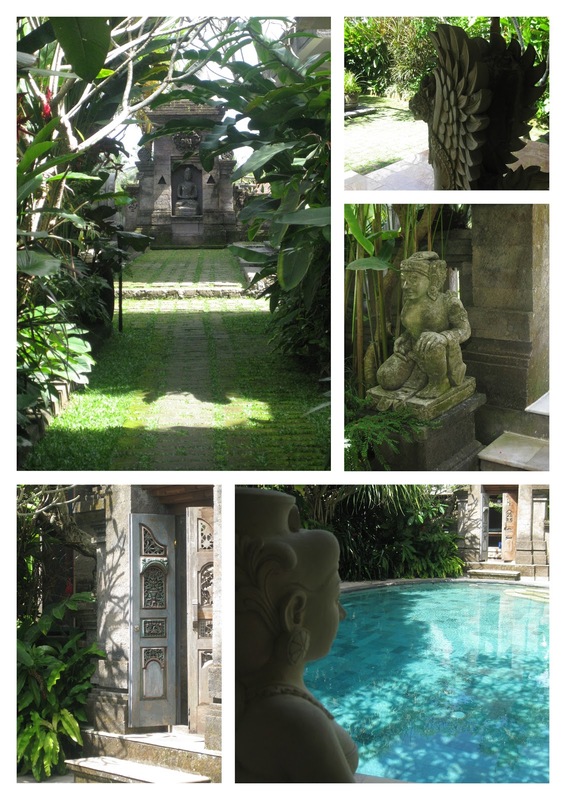 I'm skeptical of Bali but your trip looked beautiful! 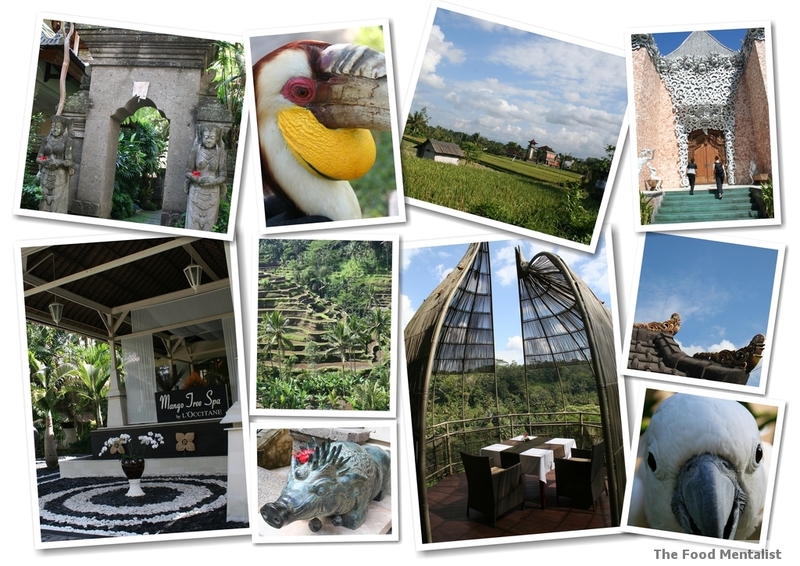 Bali is so much fun and I've enjoyed reliving my trip there through your post. I love Bali! There's so much to do there and the people are so lovely too. Gorgeous photos Erin and I love the monkey ones in particular (I have a soft spot for monkey :) ).